Buyers are facing increasingly stringent budget scrutiny, an influx of more influencers and approvers involved in every purchase decision, and upward movement in final decision-making authority. These factors have converged to restrict the buyers’ ability to move a purchase forward, which leads to longer sales cycles and “no decision” outcomes. Motivating buyers requires showing how your solution is going to save them money and/or grow sales. Period. Buyers don’t care about buzzwords such as “high quality” or “long-lasting,” or sales monologues about the latest product features. The fundamental question buyers want answered is can your solution help them do more with less. If the answer is “yes,” the next question they ask is how much can it help. Using value selling tools to quantify your solution’s value helps buyers obtain the various required approvals. When dealing with a buying committee, make it easier for them to achieve consensus by quantifying for each member how your solution will help their department. There are many ways to engage your buyer in a value-based discussion. A value calculator or ROI tool can quantify your solution’s value for each buyer’s environment. Case studies can be used to show the monetary impact other customers received from your solution. You can also refer to reports published by third-party research firms that discuss the financial benefits buyers can receive from various technologies. The crucial point is to push forward and show buyers the value of your solution for their business, using whatever resources you have available. Click here for more insights on how to implement value selling. Value selling allows you to close more deals and better defend your price. Often buyers are looking for your help to overcome the internal obstacles they face. Collaborating with buyers on the economic impact of your solution increases their engagement and your chances of success. 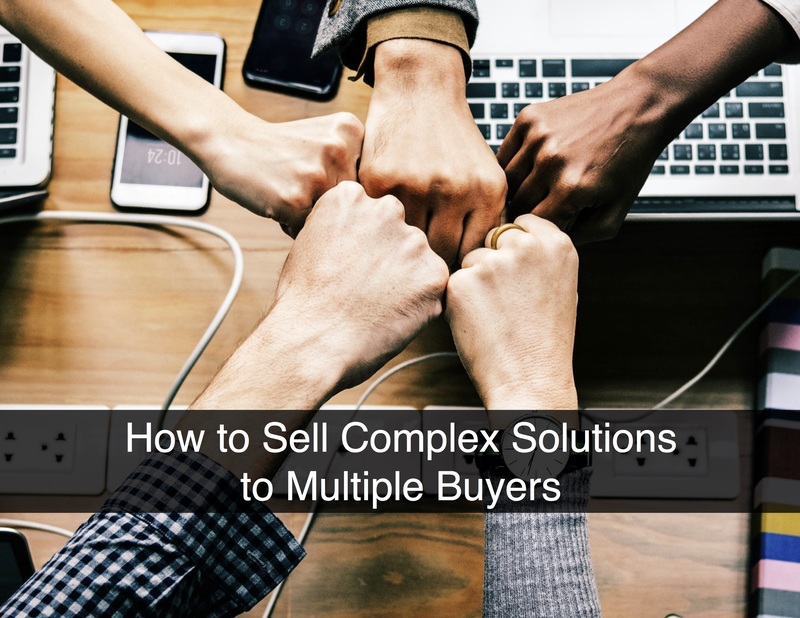 Listen to the How to Sell Complex Solutions to Multiple Buyers with David Svigel episode. Subscribe to The Sales Conversation Podcast. Connect with David Svigel on LinkedIn. Join the Value Selling for B2B Marketing and Sales Leaders LinkedIn Group. Visit the ROI Selling Resource Center.